I got the coolest birthday card ever from my father-in-law. Every time I look at, I crack up. The drawing is ‘Family Portrait’ by Ronald Searle. Searle is fantastic. 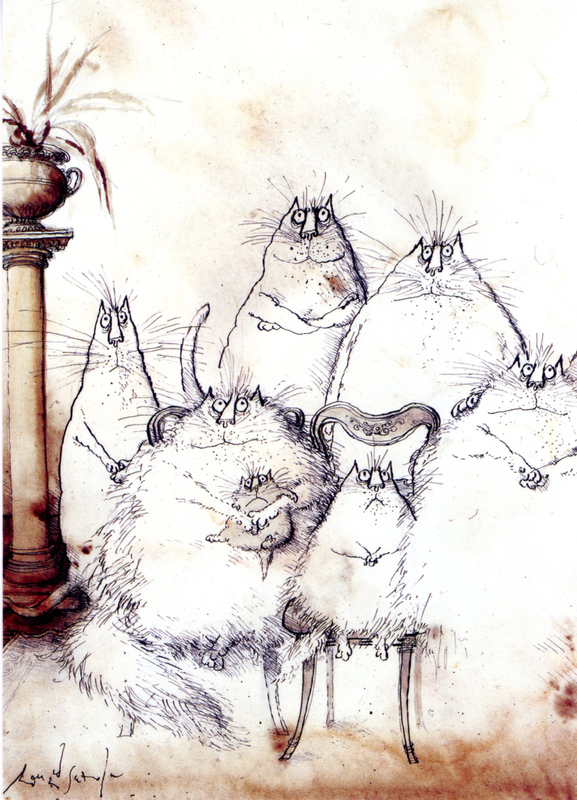 Searle is the artist for the Molesworth books and St. Trinian’s. Categories: Not about books | Tags: Cats, Ronald Searle | Permalink.